(Bloomberg) -- As fears of slowing growth spark a frenzy of bond buying around the globe, Fidelity International’s George Efstathopoulos has another risk on his mind: an upsurge in inflation. The money manager, who helps oversee a multi-asset fund that beat 98 percent of its peers over the past year, says markets are too downbeat about global growth. Investors are also too sanguine on inflation which could emerge in the second half of the year, spurring major central banks to re-evaluate their dovish outlooks. 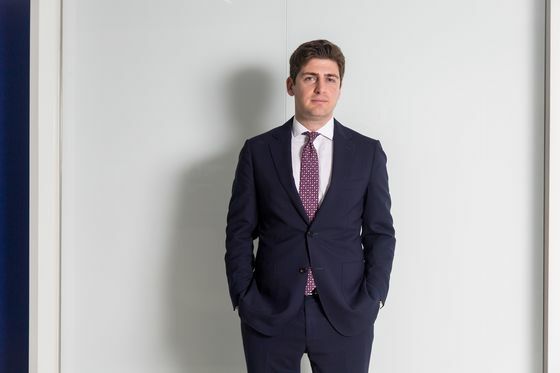 “The market’s gotten a little bit too excited about dovish tones and starting to price in easing,” Efstathopoulos said in an interview in Singapore. With U.S. economic growth still at or above trend, which could in theory support a Fed normalization policy, “I still see the next step is rates up rather than down,” he said. Government bonds from Europe to Japan have rallied as concern that global growth is cooling spurred investors to seek shelter in sovereign debt. 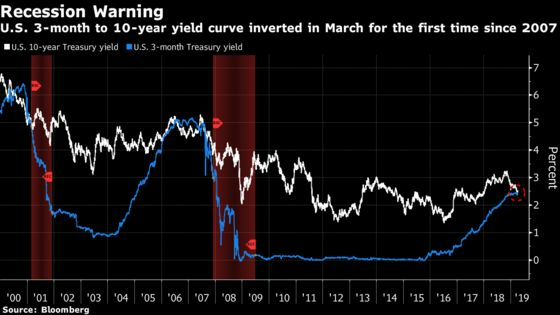 Bond yields in Australia and New Zealand plumbed record lows in March and the U.S. yield curve inverted -- seen as a harbinger of recession -- as investors bet the Fed would decide to cut rates. Fidelity’s view aligns with that of Aviva Investors and hedge fund CQS who say caution in markets and recession fears appear overdone. As strategists from Goldman Sachs Group Inc. to JPMorgan Chase & Co. lower their outlooks for Treasury yields, signaling the rally in bonds could continue, Efstathopoulos is holding back from adding U.S. duration. He sees Treasury 10-year yields rising as high as 3 percent this year, especially if key economic indicators such as purchasing managers’ indexes and industrial data from Europe to Asia continue to improve. U.S. 10-year notes yielded 2.49 percent in London trading Monday after slipping two basis points on Friday, following a further call for lower rates from President Donald Trump. I see the greenback tracking sideways for 2019. It may strengthen slightly against the likes of the euro, and weaken against a basket of emerging-market currencies. Long positions in the dollar now make up about 80 percent of our currency exposure, down from a peak of 90 percent last year. Developing-nation central banks including those of Indonesia and India may cut borrowing costs after raising rates last year to protect their currencies. We are long Indonesia’s rupiah and government bonds, and also like emerging-market hard currency debt. EM currencies look cheap whichever valuation measure we look at. We’ve been selling equities in places like Taiwan, Korea and Australia and rotating the proceeds of that into China equities. Liquidity has been tightening a bit but the domestic growth story is still very much intact in China. We were buying a lot of Australian bonds in the fourth quarter of last year. We’ve stopped adding but we haven’t taken profits on the trade yet -- there’s potential for the market to price in a bit more easing still. Fidelity is long yen against the dollar even after taking some profit on the trade in January. The position, which was built up in the fourth quarter, has added 25 basis points to the overall portfolio’s performance thanks to a strong December.